Want to know how Snapchat is able to generate more intelligent leads? Jebbit has got it covered! Taylor Bellefeuille is the VP of Sales at Jebbit, where they’re tasked with going out and hunting new business every day. She calls her team small yet mighty. They’re partnering with companies like Snapchat, Cathay Pacific, Ebay, and more. Jebbit is a Software as a Service (SaaS), with expertise in declared data and consumer attention and mindset through dialogues. Today, Taylor is going to share with us the power of data capture and how this can help you generate more powerful leads and grow your business. As part of their lead capture element, they can capture any sort of data they want (phone number, email address, name, etc. They’re also able to capture declared data – which you can only get from someone through a conversation to help companies understand their customers better. Understand your potential customers before you do your outreach. 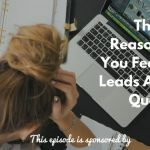 Understand their pain points and doing that outreach in a very personalized way. Reference articles or anything you can get in front of the decision maker. Make sure about the same pain points they’re facing everyday and how you’re potentially able to help. At Jebbit, they have both inbound and outbound teams as well as partnership teams that work closely with their partners to continue to drive revenue. A lot of times, they have to be an evangelist for what they’re doing and the idea of declared data and mobile attractive content. It’s more of education in those spaces. First, they get them to buy into the idea of what and why they’re doing it. Second, they walk them through the Jebbit platform where their capabilities and expertise lie. It’s all about personalization. Make sure you understand your buyers and you personalize every message. 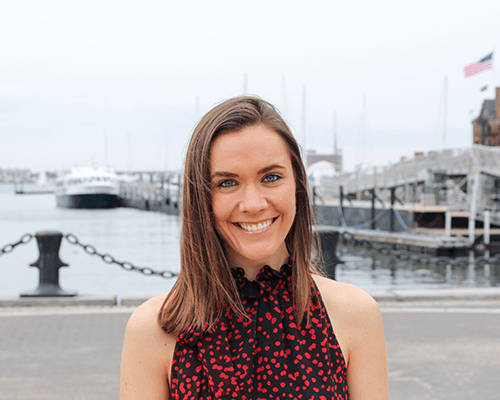 Connect with Taylor through email at taylorb@jebbit.com or call her at 781-248-8274.